t’s a late afternoon in June and Amr Waked has just returned from his Spanish lessons—part of his new daily routine in Barcelona. The 45-year-old Egyptian actor and producer relocated full-time to the Spanish seaside city earlier this year, leaving behind his native Cairo, where he first emerged as an Arab cinema star before crossing-over to Hollywood. The Spanish lessons should help with his next big film role. Although details of the production are still under wraps, he’s set to appear in a Hollywood film that will begin shooting in Spain later this year. “I’m not sure I’m allowed to speak about it,” says Waked. “It’s a really good role.” To his credit, these days he can afford to be picky in the roles he takes. Waked is one of the few actors from the Arab world to enjoy equal success at home and abroad. He first gained international attention in 2005 with a supporting role in the geopolitical thriller Syriana, which starred George Clooney. Waked has since appeared in four Hollywood productions and several TV series, but a turning point came in 2014, when he starred with Scarlett Johansson in the sci-fi action film Lucy. A surprise hit, Lucy took in $463 million worldwide against a production budget of $40 million, according to Box Office Mojo. His most recent high-profile appearance came in late 2017 with a role in the big budget disaster flick Geostorm. The film performed modestly at the box office, and didn’t blow critics away, but those headwinds haven’t dampened Waked’s ambitions to advance his career outside of the Arab world. On screen, he often plays grim, brooding characters—an aura helped by his intense, piercing gaze—but speaking with Forbes Middle East he’s laid back and laughs easily as he details what he hopes is the next successful stage of his career. Waked’s recent move to Barcelona is part of a larger plan. “I have an ambition, basically, to produce here in Europe,” he says. He chose Spain because he knows people here, and has visited often in the past. Upcoming projects include a made-for-TV improvisational comedy that centers around a group of out of work actors desperate for any gig. Waked wrote the premise. It will feature an ensemble cast, with each episode focused on one character’s plight. The workshops are a way to discover actors for his projects. “The workshops are really the selection platform for the other projects that are going to be produced,” says Waked. His new project may seem like a left turn for an actor who made a name for himself in big budget action thrillers. Until recently, he sought roles in Hollywood films while maintaining an active career in Egyptian cinema. In Cairo, he ran Zad Communications, a production studio that developed edgy films and series following the 2011 uprising that explored Egyptian society, including a movie where Waked plays an activist tortured by the secret police. Four years ago, in an interview with Reuters, Waked said his “ultimate ambition” was to produce a blockbuster Arab movie that would be screened around the world. Now, he thinks developing films will be easier if he’s based in Europe, and Zad Communications is in the process of shutting down. From a production standpoint, he says Barcelona is cost-effective, with easy access to talent and good filming locations and weather. “At this point in my life I’m more interested in finding a global audience,” says Waked. Yet, his move comes as he contends with controversy back home. Late last year the actor was charged with vandalizing a car parked in front of his Cairo home, which reportedly led to a conviction. He prefers not to talk about the incident, and flatly denies the allegations. “Eventually the guy dropped the charges,” he says. Still, international media went as far as to suggest that the case against Waked could have been politically motivated. That’s because Waked has long been celebrated for his outspoken political stances in Egypt. He was a vocal participant during the 2011 uprising, and touches on politically-charged topics in Twitter posts to his 6.35 million followers. Waked didn’t get into acting until age 18, when he accompanied a friend who was auditioning for a play. He was mesmerized by the theater and asked the director if he could try out too. His spur of the moment audition didn’t go well. Waked was overwhelmed by stage fright. “It was horrific, really,” he remembers. Yet, the director gave him a small role. The play depicted a hospital ward full of patients dying of radiation poisoning in the aftermath of a nuclear disaster. Waked was assigned to play a man in a Hazmat suit tasked with removing the deceased characters from the ward. Despite his stage fright, Waked turned down the role, because the audience couldn’t see him. Waked asked the director if he could serve instead as his assistant, so he could learn about the theater. “I watched the play built all the way from casting, all the way to final curtain calls,” says Waked. From there, he earned roles in small productions. But acting was a part-time gig for years. He studied economics at the American University of Cairo, and upon graduating in 1995 got a job as a stock trader with ABN AMRO in Egypt. He worked at the bank for four years before quitting to act full-time. He was by then active in theater troupes, which focused on intense improvisation. With his experience, Waked secured his first film role in 1999 in the Egyptian comedy Gannet El Shayateen. His performance earned him an award for best supporting actor at the Alexandria International Film Festival, paving way for more on-screen appearances. He soon landed larger roles, including a part in The Traveller in 2009, alongside Egyptian film legend Omar Sharif in one of his final roles. It was pure chance, he says, that led to his first part in a Hollywood film. In 2003, he was approached by a casting director from the U.K., who was doing readings in Cairo for a role in Syriana. He read for the part and landed the role of an Islamic fundamentalist cleric. The film focused on the politics and global influence of the oil industry with George Clooney, who also served as the film’s executive producer, playing a CIA operative. Although a modest box office success, the film netted Clooney an Oscar for best supporting actor, and the exposure raised Waked’s profile. Still, after Syriana Waked struggled with being typecast—often getting offers to play stereotypical Arab bad boy characters. “I was very explicit about my lack of interest in being typecast,” he says. 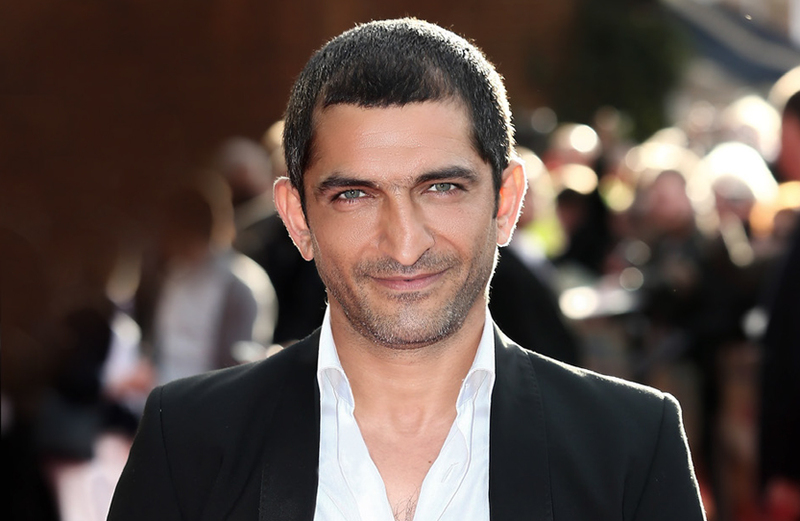 Waked intermittently scored parts in international productions, including the role of Saddam Hussein’s son-in-law in House of Saddam, a miniseries produced by the BBC and HBO Films in 2008. His career took its next big leap in 2011, as a wealthy Sheikh in the drama Salmon Fishing in the Yemen, with stars Ewan McGregor and Emily Blunt. In Egypt, he started his own production company, Zad Communications, with an old school friend, focusing initially on media productions and campaigns to raise awareness on development issues in the Middle East and North Africa. The company didn’t produce its first feature film until 2012, when it debuted Winter Of Discontent, a drama set during the 2011 revolution, at the Venice Film Festival. The film attracted some international publicity due to its topical plot, and was Egypt’s submission to the Oscars, but it didn’t get nominated. It followed with El Ott two years later, a thriller where Waked played a gangster embroiled in human and organ trafficking in Egypt. Waked won’t elaborate, but he and his partner have now split over disagreements.